records eight external voltage sources and saves data in 8-MB memory. 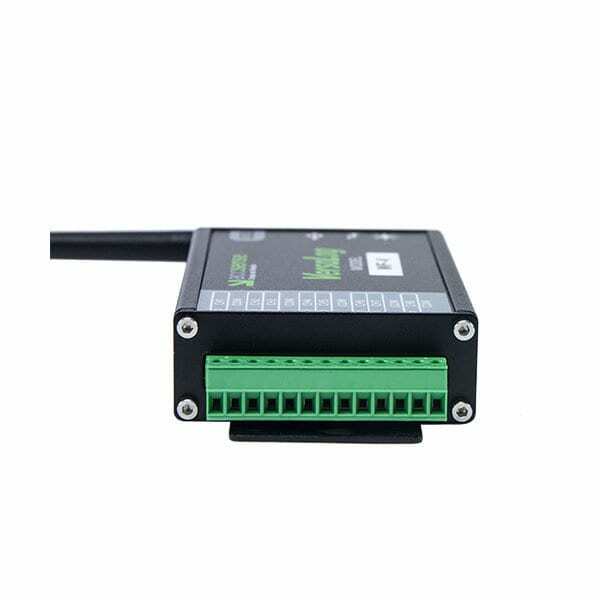 Its aluminum enclosure makes it excellent in the harshest industrial environment. 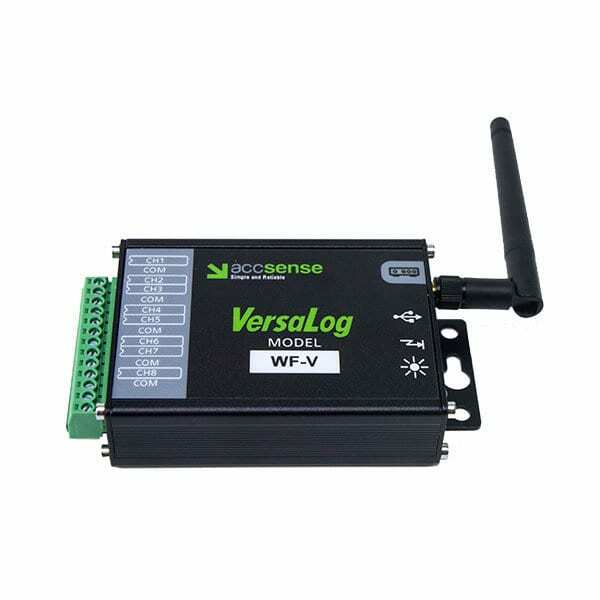 Embedded WIFI module allows remote data monitoring and downloading. 16-bit ADC makes it well suited for science and laboratory applications where precise and accurate measurements are critical. Siteview software required and sold separately. One license per site, can be used on multiple loggers. 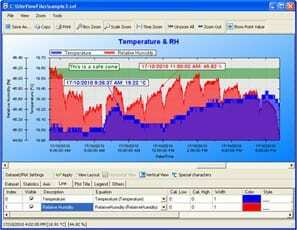 SiteView is a Windows-based application which works with the VersaLog Series data loggers for downloading, configuration, data analyzing and plotting. Its user-friendly graphic interface plus powerful functionality fit both novice and advanced users. The versatility of custom equation and custom-line equation handle complicated measurement requirements. Multiple file loading allows easy data comparison. One license per site required, can be used on multiple loggers. Channels Eight external voltage DC inputs. Alarm Indicator On-board LED lights in red when in alarm condition.